2016 Update: This article describes a model of “cigalike,” or an e-cigarette designed to look like real cigarette. When I wrote this article more than four years ago, there were many interesting cigalikes on the market from which to choose. Today, though, there are far less cigalikes available than there once were. I have removed the product links from this article, as I no longer recommend those products. Today, I recommend just two cigalikes: V2 Cigs and South Beach Smoke. Take a look at my reviews and see which product appeals more to you. Many first-time electronic cigarette buyers end up choosing either the 510 e-cigarette or the eGo e-cigarette. I think that the popularity of the 510 e-cigarette has a great deal to do with the cost as well as its reputation as a reliable performer. Flexibility has also contributed to the staying power of the 510; its thread style has become the most popular in the e-cigarette industry, which means that if you have a 510 battery, you can experiment with many different types of atomizers and cartomizers until you find that one that meets your requirements in areas like vapor production, flavor and convenience. The typical 510 e-cigarette battery has a charge capacity of about 180 mAh, which is good for around 80-90 puffs. You can find the 510 battery in both automatic and manual configurations; the automatic battery turns on when you puff, and the manual battery turns on when you press a button. In addition, you can find 510 e-cigarette kits that include cartridges, cartomizers, drip tips and tank systems. 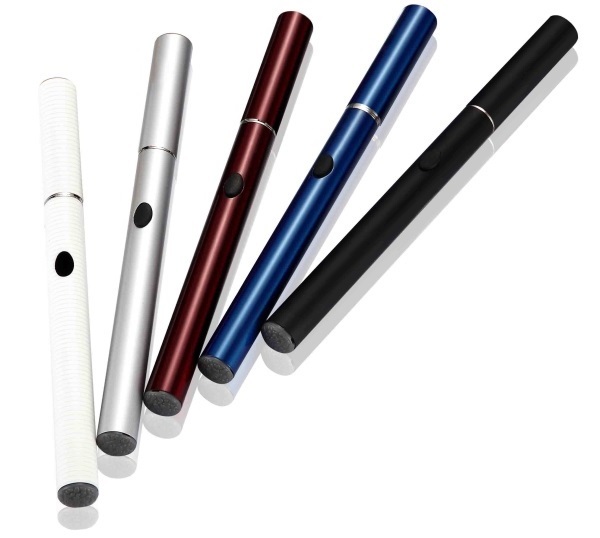 510 e-cigarettes come in many different colors. The core of the 510 e-cigarette is the battery; because all 510-compatible attachments are interchangeable with one another, you can always switch to tanks, cartomizers, dripping or whatever you like without purchasing a new battery. However, there is a key difference between most automatic and manual 510 batteries that you should be aware of before you purchase. If you look at an automatic 510 e-cigarette battery from the top, you’ll often see a small hole in the center of the threading. This allows air to travel easily through the battery so you don’t feel a lot of air pressure when you inhale. This works perfectly well unless you drip. When you drip, you place a hollow tip on the atomizer and send a few drops of liquid straight to the heating coil before you puff. A lot of people enjoy dripping because it eliminates all of the plastic and filler between the heating coil and your mouth, giving you pure flavor and better vapor production. With an automatic battery, though, dripping can be risky; if you add too much liquid, it can travel through the atomizer and drip down the battery’s hole, potentially ruining the battery. So, if you think you’re likely to try dripping, I’d strongly recommend buying a 510 e-cigarette kit with at least one manual battery. After selecting your battery, you’ll need to decide whether you want to buy a 510 e-cigarette kit with an atomizer, a tank system or cartomizers. Remember, you’re always free to switch between these liquid delivery systems because they all use the same batteries. However, if you’re a first-time e-cigarette user and want something that will give you the best possible experience with no fuss, I recommend buying a 510 e-cigarette kit with pre-filled cartomizers. With this system, all you need to do is charge the battery, screw the cartomizer in and go. I strongly suggest avoiding disposable cartridges; I discuss the reasons in my article about cartridges vs. cartomizers. Pros: Simplicity and convenience. Cartomizers are extremely reliable, offer great vapor production and don’t leak. Screw it on and go. Cons: Cost and liquid capacity. A typical 510 e-cigarette cartomizer holds 1 ml of liquid, or about as much nicotine as a pack of cigarettes. You’ll pay about $10 for each pack of five pre-filled cartomizers. Although you can refill your own cartomizers if you like, some companies put hard plastic tips on their pre-filled cartomizers to make refilling difficult. Cons: Convenience and strangeness. Dripping isn’t possible in a car and, because of the strange looks you might receive, I can’t imagine anyone but the most dedicated e-cigarette users being willing to use a 510 e-cigarette with a drip tip outside of the house. You’d have to carry a bottle of liquid everywhere, because to drip, you have to add liquid after every few puffs. Pros: Capacity and convenience. Empty tanks for 510 e-cigarettes are cheap, hold more liquid than cartomizers and can be filled with whatever liquid you like. Unless you’re a chain e-smoker, a full tank will last at least a day. Cons: Vapor production and mess. I find that tank systems don’t offer quite the flavor and nicotine sensation that cartomizers do, and it’s inevitable that your hands will get a little messy when you refill tanks. It’s not a big deal if you’re at home and close to a sink, but if you have to refill a tank at work or somewhere else it could become bothersome. NuvoCig and Volcano offer the two best 510 e-cigarette kits that I know of, and I’ve used them both. However, it must be said that there’s a large price gap between the two, with NuvoCig’s e-cigarette kit costing $24.99 and Volcano’s priced at $59.99. Although only Volcano uses liquids made in the United States, I am a big fan of both. Volcano’s Menthol Burst liquid must be tasted to be believed, but otherwise the company focuses on fruity and tropical flavors, which they do quite well. NuvoCig is the superior choice for tobacco flavors, although their fruity e-liquids are nice, as well — especially if you like the idea of a sweet e-liquid with a bit of tobacco taste in the background. While the Magma 510 e-cigarette includes a portable battery charging case, which is admittedly a cool accessory, I don’t think the case alone is worth the $35 price difference between these two e-cigarette kits. I’d suggest checking out the NuvoCig offering first. 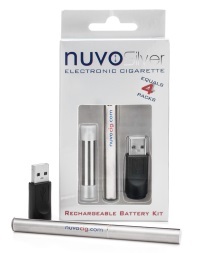 NuvoCig ($24.99): Includes one battery, USB charger and two pre-filled cartridges. Volcano Magma Kit ($50.99 with coupon code VOL214): Includes two batteries, portable charging pack, USB and wall chargers, USB cable and ten pre-filled cartridges. According to the National Cancer Institute, tobacco smoke contains more than 7,000 chemicals. E-cigarette liquid has about four ingredients: propylene glycol, vegetable glycerin, nicotine and flavors.